Next PostNext Purple Minnie Mouse Ears to Debut in Parks! 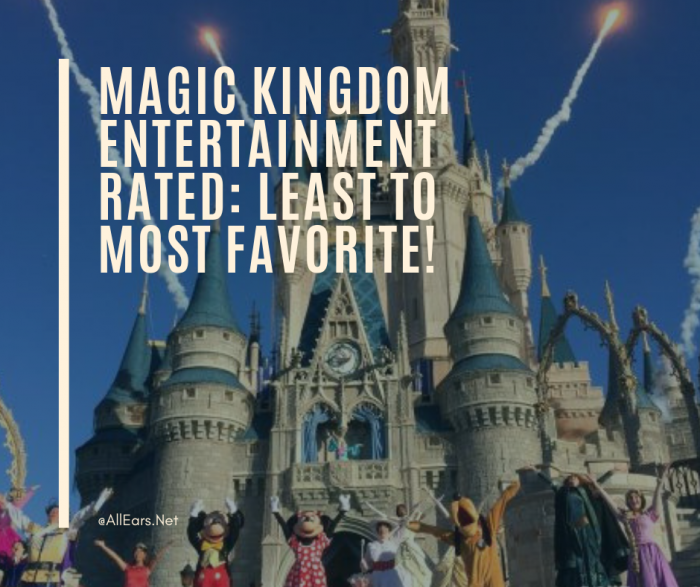 Magic Kingdom Entertainment Rated: Least to Most Favorite! With so many exciting things to do and see in the Magic Kingdom, there’s no possible way to get to everything in one visit. Shows featuring live performances are among the hardest to plan for because they have limited schedules that will almost force you to choose one over the other. With careful planning you should be able to enjoy multiple experiences in one day, but how do you decide which shows should you pass on and which are a “can’t-miss” opportunity? Here are our thoughts on which to keep on your list and why! Casey’s Corner Pianist: Lively ragtime tunes on a melodious upright piano will give you all the feels. Stop and listen to a song or two if you can. There are usually multiple performances throughout the day. 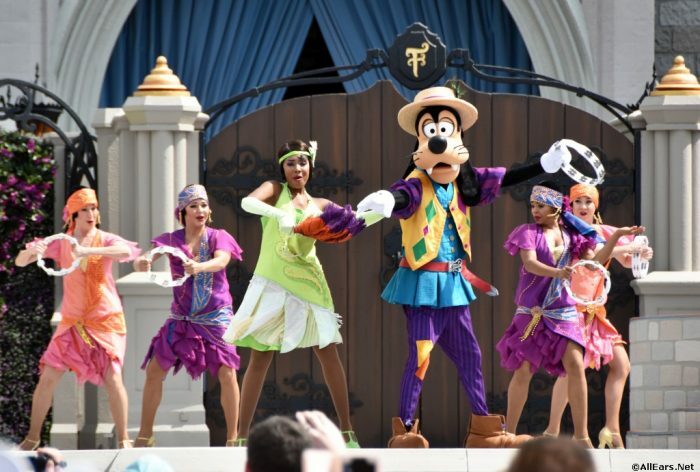 You will feel the Main Street, U.S.A. vibes while listening in, but you might feel a proper stage show is a better use of your time. 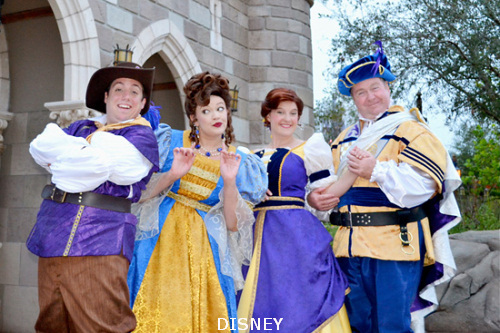 Citizens of Main Street and The Royal Majesty Makers: These casts of characters are fun to interact with. Grab a picture with one of them if you can. These are experiences with multiple “showtimes”, so you can catch them in passing. 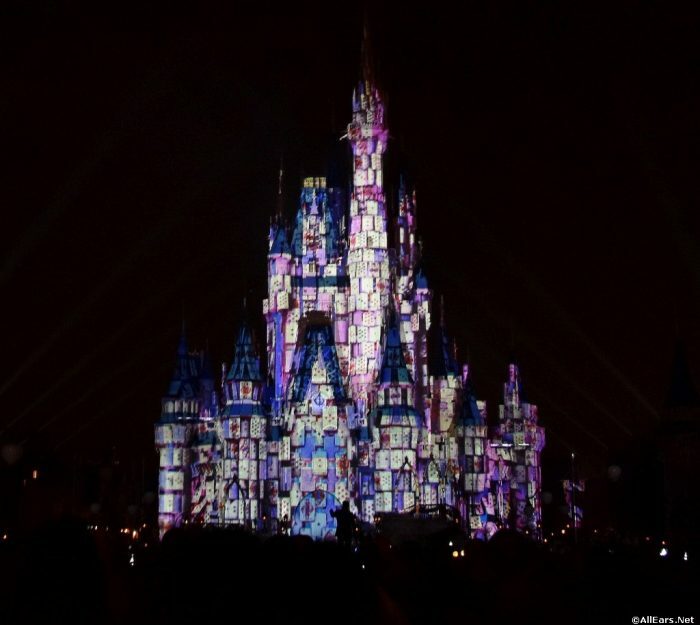 Electrical Water Pageant: While you’re waiting for transportation at the Magic Kingdom at the end of the day, you can catch this experience across the Seven Seas Lagoon. While the floats are beautiful to see, you might be more focused on getting back to your room at the end of a long day. Flag Retreat: This only happens once a day. 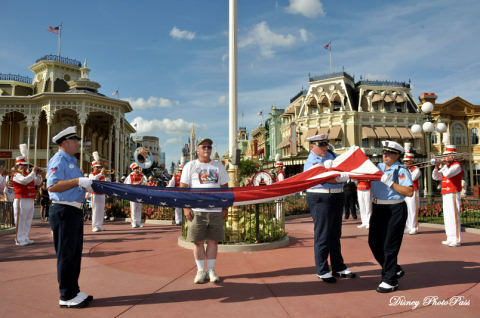 It’s great to get into the patriotic spirit, and Disney puts some special touches on this experience. They even often select a Veteran of the Day to honor. However, it’s at an awkward time of the day — if you’re all the way back by Splash Mountain, you may not want to make your way back up through Main Street, U.S.A. just to watch them take the flag down. 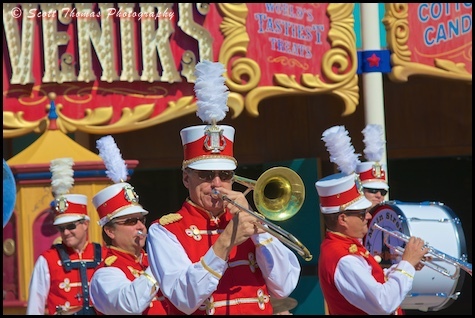 Main Street Philharmonic: You can check out these performers in Storybook Circus or at Main Street, U.S.A. Brass and percussion play some classic marching band tunes and even some Disney favorites. There are several times scheduled in each location, so you might see them in passing. Let the Magic Begin: There’s no better way to start off your day than with a visit from Mickey and a few of his favorite pals. You’ll have to be there a bit before the park opens to see this performance, so bring your coffee (or grab some Starbucks after you get to Main Street). 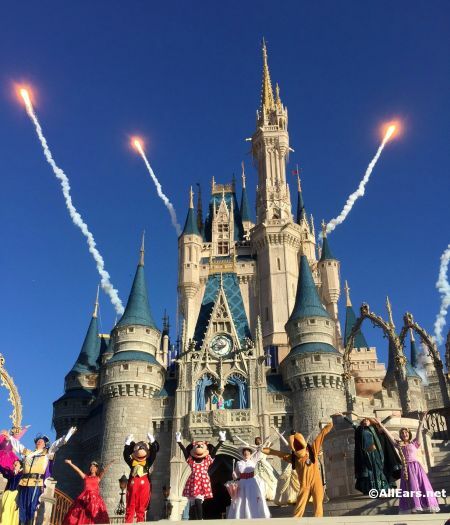 If you’re not an early riser, though, don’t worry — there’s another stage show at the castle later in the day that may be even better for you! Move It, Shake It, Dance and Play It! Street Party: Favorite Disney characters in five floats parade toward Cinderella Castle multiple times each day, with an emcee, stilt-walkers, and others encouraging everyone along the route to join in. Once in the Central Plaza in front of the castle, a variety of characters appear atop giant gift boxes, leading everyone in a medley of remixed classic party songs. 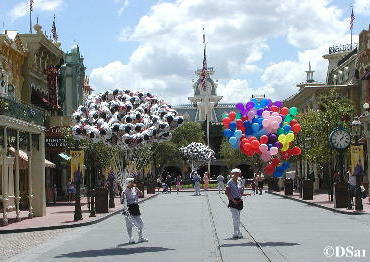 If you don’t have the time or the patience for the full-length parade, this 10-15 minute experience will fill the bill. Mickey’s Royal Friendship Faire: Another castle stage show, this one longer and with lots more Disney characters, including a few you don’t see out and about very often, like Tiana, Naveen and Louis from “Princess and the Frog,” and Rapunzel and Flynn from “Tangled.” You also get a dose of Anna, Elsa and Olaf, so if anyone in your party is a Frozen fan, you may want to be sure to add this to your “must-see” list. On top of all that, you get some daytime fireworks, and that’s never a bad thing! The show is performed multiple times a day, so you should be able to fit it in. 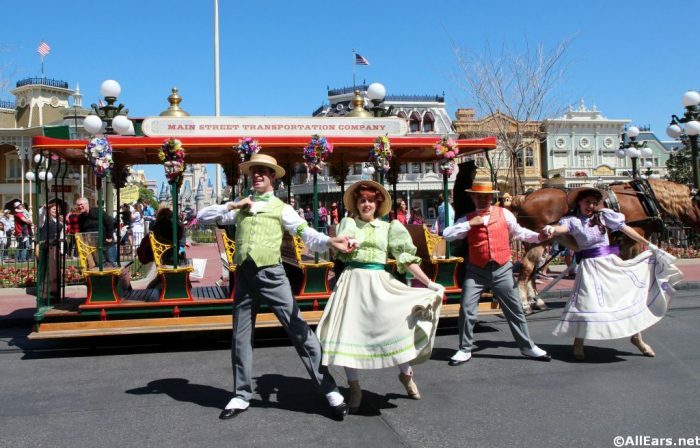 Main Street Trolley Show: A great way to kick off your morning with live singing and dancing! The classic songs have become a part of Disney culture, and we’re sure you’ll see why. Since there are limited showtimes for this experience, you have to plan ahead to be in the right place at the right time. It might also feel a bit old-fashioned to kiddos who are probably more distracted by all the things to see and do. 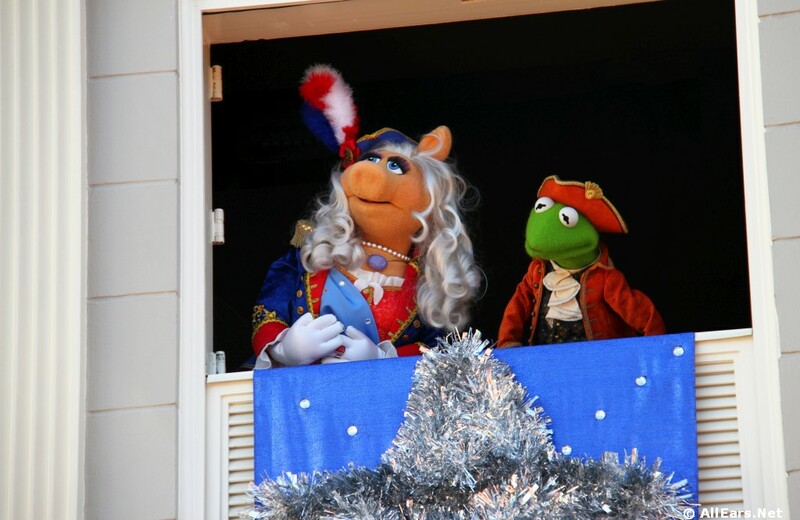 The Muppets Present…Great Moments in American History: If you can squeeze this one in, we highly recommend it. Your kids can learn a bit of history retold with comic flair by some of our favorite Jim Henson characters. If your kids don’t know who the Muppets are (gasp!) or aren’t interested in history, this might be a bit lower on your own list. 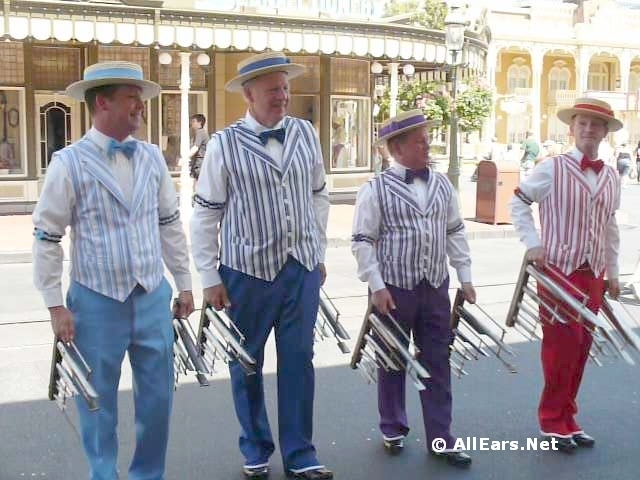 The Dapper Dans: This barbershop quartet will send chills down your spine with their pitch-perfect harmonies, and will force groans from your gut with their punny jokes. 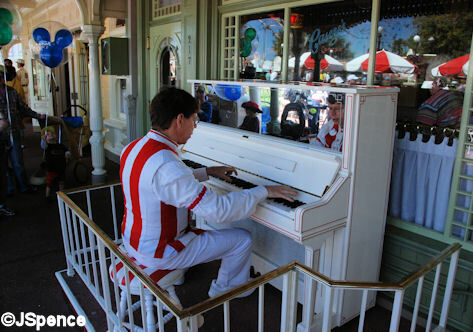 These singers perform live on Main Street, U.S.A. multiple times a day. Many people will walk by, but we think they’re more than worth a listen! Disney Festival of Fantasy Parade: Who doesn’t love a parade? 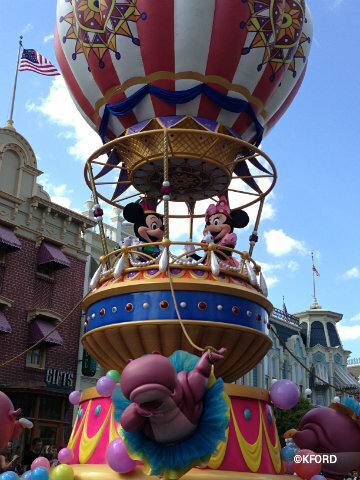 And this is one of the few parades left in all of Disney World at the moment! 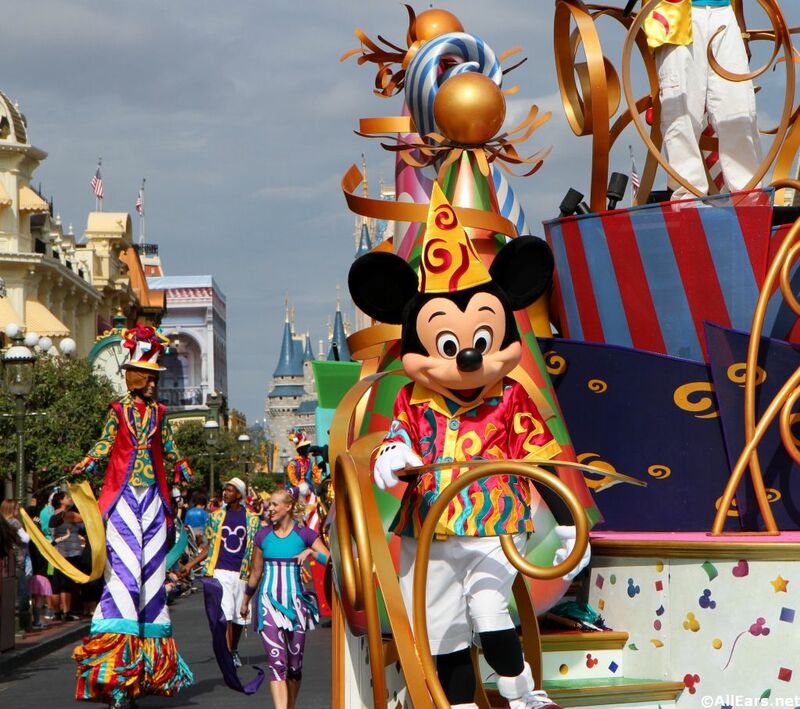 Live characters grace the floats and the streets as they dance and sing to tunes from their respective films. No trip is complete without this experience, so try to schedule this one in your day of fun. 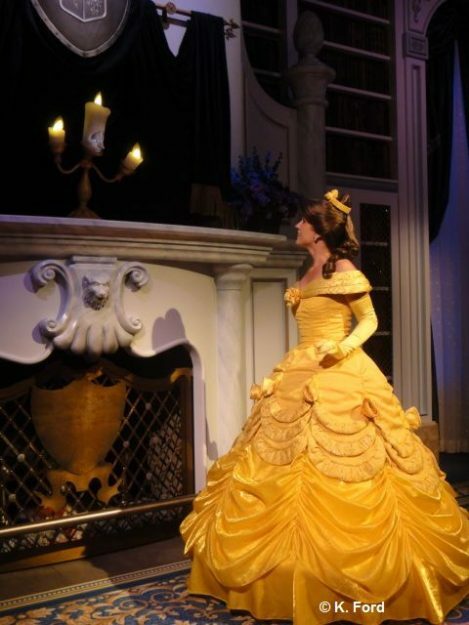 Enchanted Tales with Belle: If you have any Beauty and the Beast fans in your group, this is a must-do! Even if you don’t have kids, though, this is a charming experience. 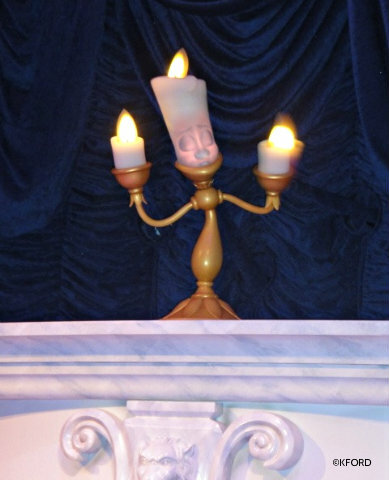 Guests have the chance to re-enact “Beauty and The Beast” with Belle herself, under the direction of the talkative Lumiere. 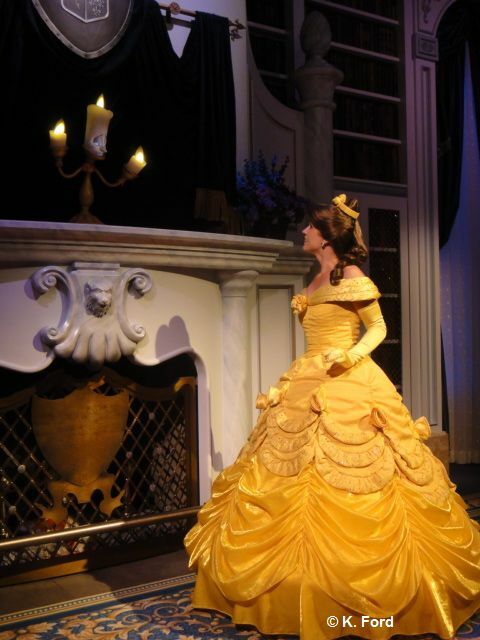 No one is left out and everyone has their photos taken with Belle — you may even get to dance with her. Once Upon A Time: While this Cinderella Castle display of projected images from your favorite classics, mixed with some pyrotechnics, is beautiful, it can’t beat the traditional fireworks display that closes out the evening. Still, it’s breathtaking and should be made a part of your day when possible. 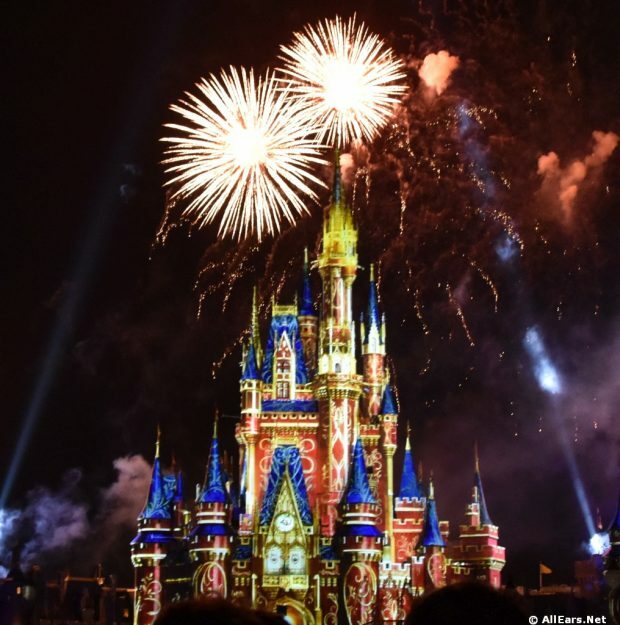 Happily Ever After: The final touch of fireworks to end your day is a can’t-miss experience! It’ll bring a smile to your face and a tear to your eye. If you can’t do anything else in the entertainment list from Magic Kingdom, this display lighting up Cinderella Castle will be the highlight of your trip. Watch our full video of the show to see what we mean! This sums up our list of live entertainment for the Magic Kingdom. How does it compare to your own rankings? Did we miss any of your favorites?